﻿ Baymont by Wyndham Glenview, Chicago (IL) | FROM $63 - SAVE ON AGODA! "The desk attendant was very gracious, room as expected, nice..."
Have a question for Baymont by Wyndham Glenview? 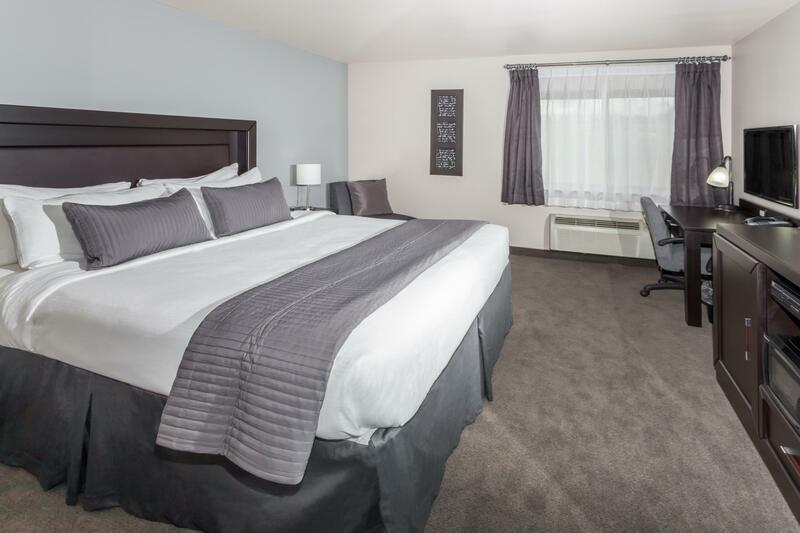 When visiting Chicago (IL), you'll feel right at home at Baymont Inn & Suites Glenview, which offers quality accommodation and great service. From here, guests can enjoy easy access to all that the lively city has to offer. With its convenient location, the hotel offers easy access to the city's must-see destinations. The facilities and services provided by Baymont Inn & Suites Glenview ensure a pleasant stay for guests. The hotel offers access to a vast array of services, including 24-hour room service, daily housekeeping, 24-hour front desk, luggage storage, Wi-Fi in public areas. The ambiance of Baymont Inn & Suites Glenview is reflected in every guestroom. 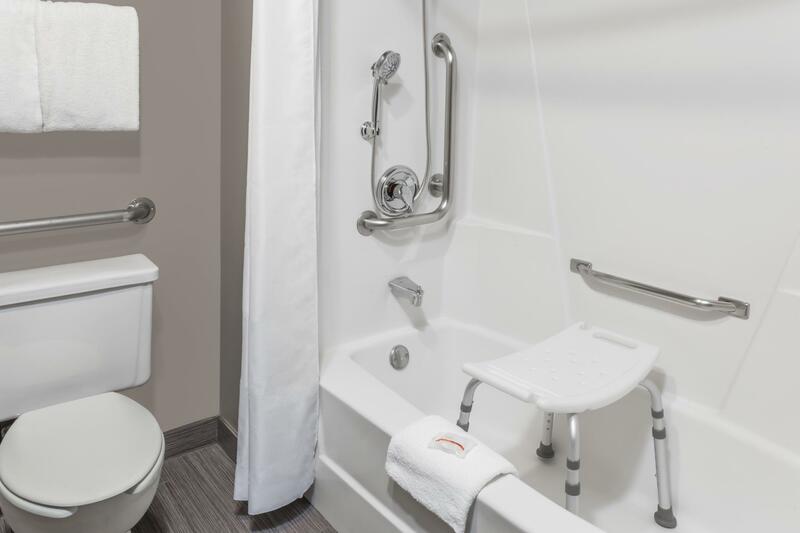 linens, mirror, towels, internet access – wireless (complimentary), non smoking rooms are just some of the facilities that can be found throughout the property. Throughout the day you can enjoy the relaxing atmosphere of the fitness center, golf course (within 3 km). 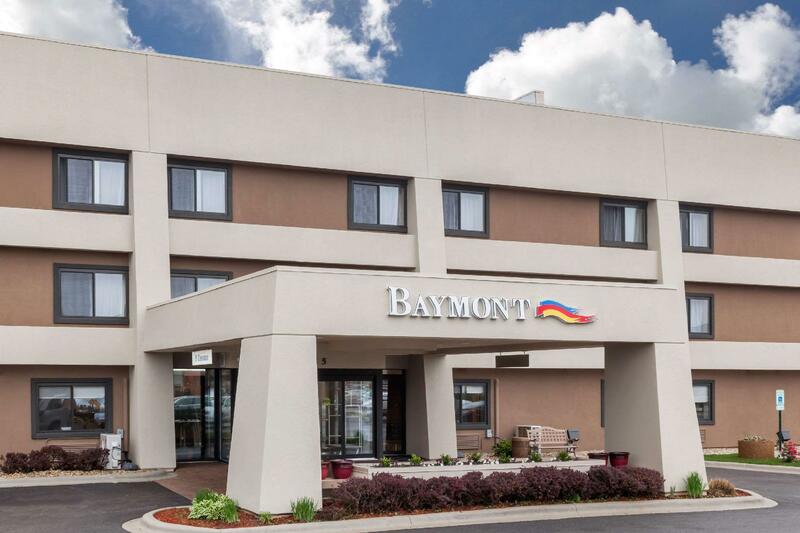 Baymont Inn & Suites Glenview is a smart choice for travelers to Chicago (IL), offering a relaxed and hassle-free stay every time. "First, the lights were good in the room, and I appreciate th..."
Yes, I would recommend this hotel only if there was nothing else available. Its great for one night if you are catching a flight the next morning. Hotel needs updating, staff friendly and helpful, location close to O'Hare, linen was fresh and clean. Hotel room its self was less than satisfactory. Carpet very old and unclean, night stand that separates the two queens was sticky and not wiped, fridge had a hard doughnut in it from previous guest, shower curtain smelled like dirty laundry and the hallway had a strong smell of marijuana. The desk attendant was very gracious, room as expected, nice. I spent a week at the Mundelein Baymon t in August and in comparison i felt this one didn't measure up. First, the lights were good in the room, and I appreciate that. Now for the comparison: the breakfast at the Mundelein/Libertyville hotel included yogurt, hard boiled eggs, pastries and individual creamers of half in half plus flavored creamers which this hotel did not. Not a big deal but I felt like this one had cost savings measures built in. Again, I did find the staff very pleasant. Safe location & pretty descent room except bathroom smell,, shower curtain needs to be washed. the cost per room seems expensive.